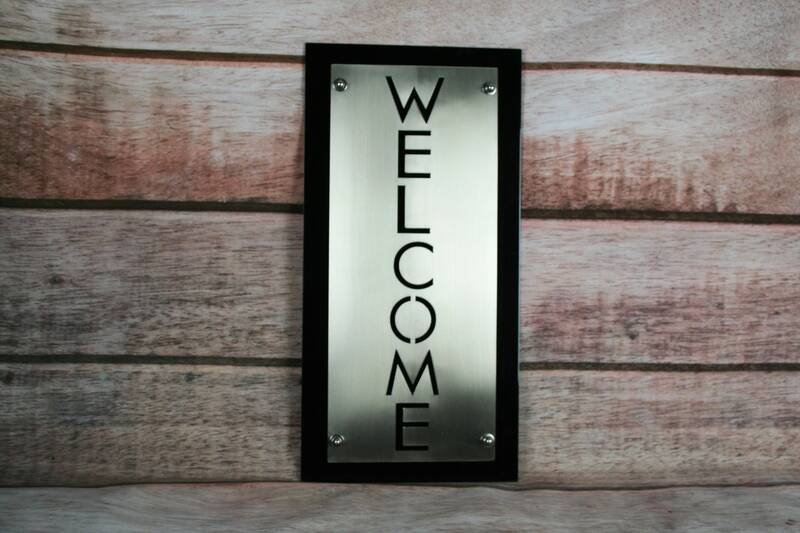 Vertical WELCOME sign is highly visible and a beautiful addition to your front door! This beautiful indoor or outdoor sign is a lifetime product! 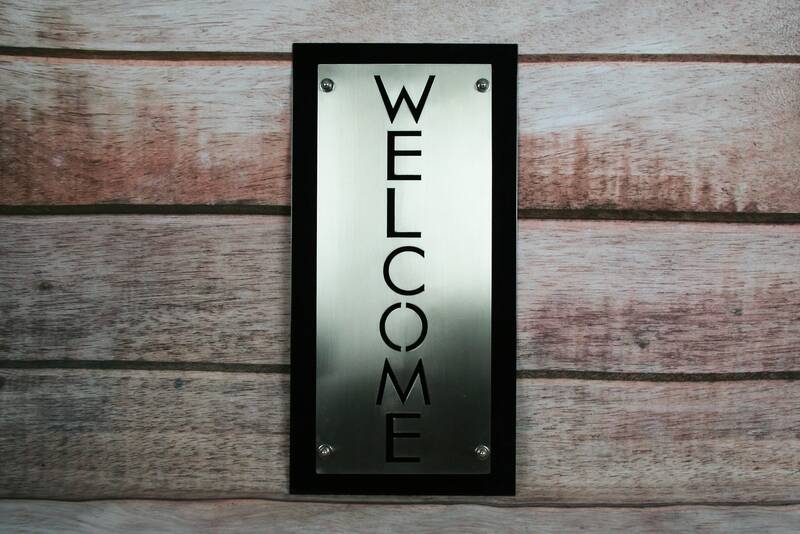 The welcome plate is cut out of brushed stainless steel for a rust-proof finish. It's clear-coated so you won't need to clean fingerprints! The black backing plate is coated with durable glossy black powder coat for a long-lasting product indoors or out. 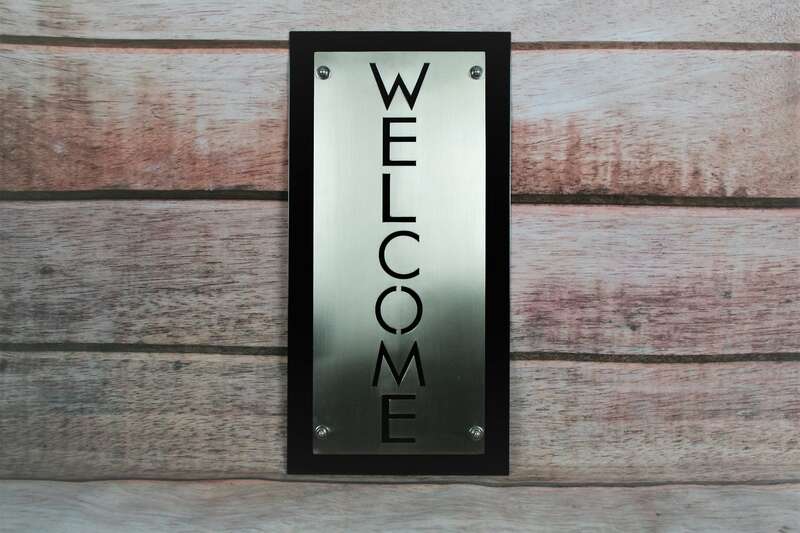 Vertical welcome sign is attached permanently to the backing plate, and you'll be able to hang the sign easily from teardrop holes hidden on the back. No visible hardware on the front of the sign! 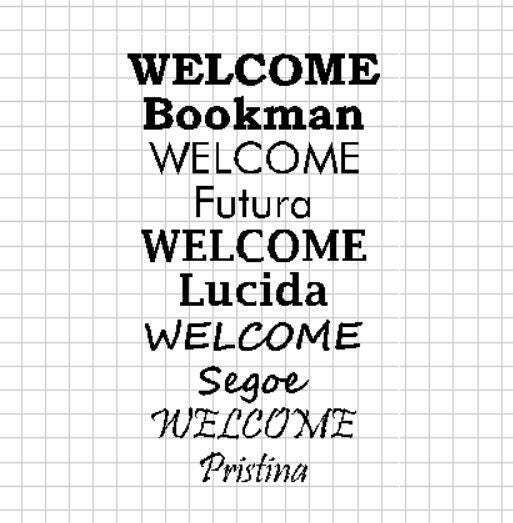 This beautiful welcome sign will not fade, peel or chip for decades! 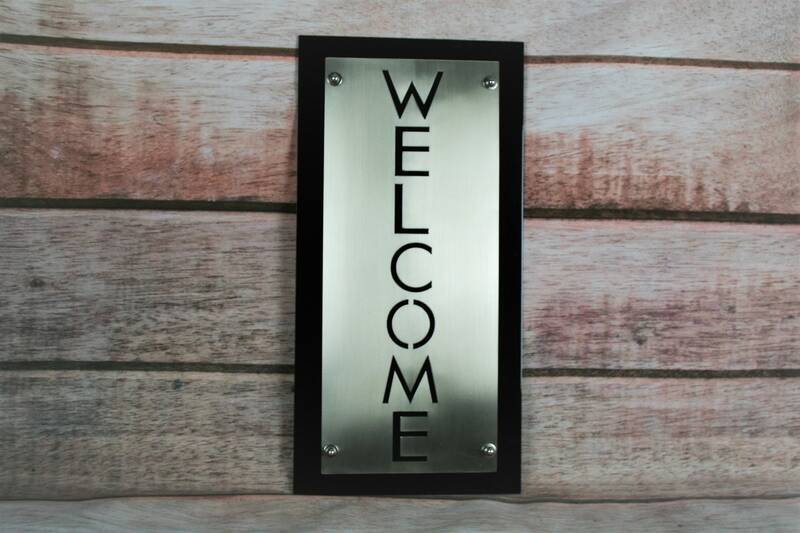 Hang the welcome sign in your entryway, on the front porch, the mailbox post or anywhere you like! 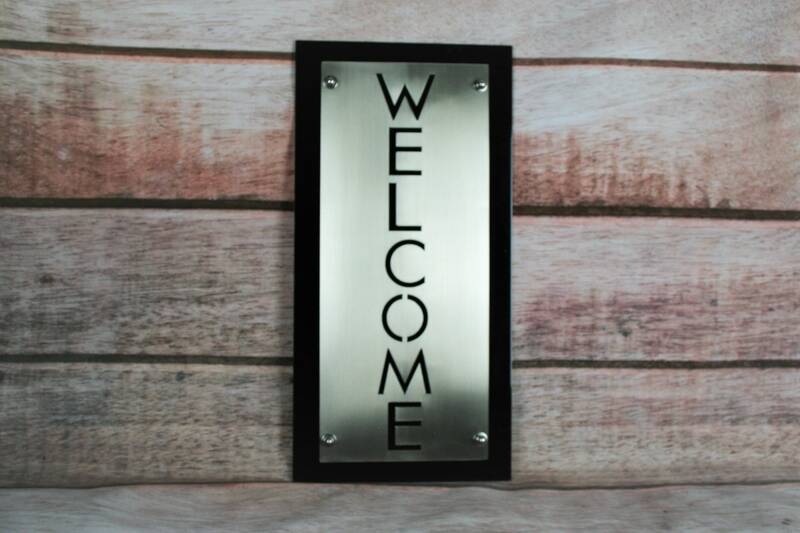 Sign is available in a wide variety of sizes and font styles. Each sign is 10" wide and height is your choice from the drop-down menu.